MY2 got some good press for Venture client Eureka!, a California-based restaurant making its Texas debut in Dallas' West Village and on Austin's famed Sixth Street. GlobeSt.com featured the news as the headline for it's Texas AM Alert, and Dallas Business Journal ran an article too. MY2 pitched the Arizona Republic to write this article about Chideo and Todd Wagner, who "hopes his latest venture will become mainstream and make the world a better place." To localize the story, we got Chideo ambassadors Bronson Arroyo and Cristie Kerr, both who live in the Phoenix area, to provide comments about why they joined the Chideo movement. MY2 PR secured this article in The Dallas Morning News that ran on the front page of the Sunday Business section featuring our new client, Chideo. We hope that by raising awareness for Chideo, they can in turn raise awareness and funds for the charities supported by their many celebrity ambassadors. 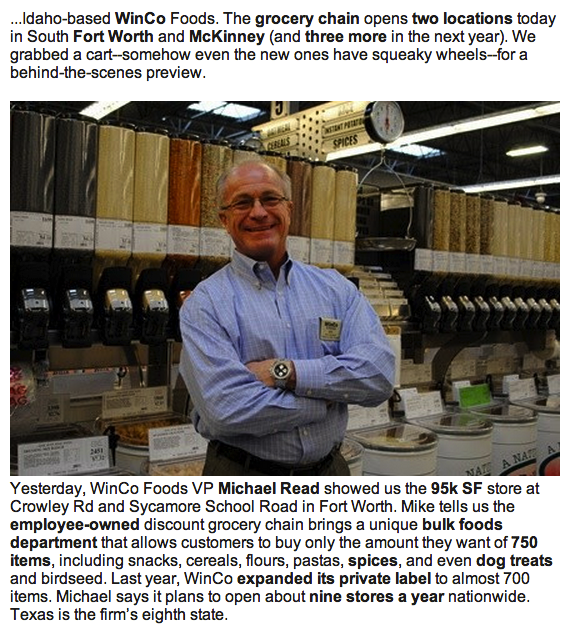 When Idaho-based discount grocer WinCo Foods made its DFW debut this week, MY2 arranged a private tour of the Fort Worth store for the local editor of Real Estate Bisnow. The resulting feature highlights the Venture Commercial brokerage team and their role in bringing this new grocer to town. FDLuxe Loves Plaza at Preston Center! Mike Geisler of MY2 client Venture Commercial is featured in this FDLuxe article about all the new tenants he has brought to the Plaza at Preston Center. Every fall MY2 helps Sleep Experts plan and promote their Share the Warmth Blanket Drive, benefiting families in need. This year the company is celebrating it's 10th year for this event that has grown exponentially in the past few years through the help of the Girl Scouts. We recruited these cute Brownies for a photo shoot! MY2 announced several big retail leases for client Venture Commercial, including Whole Earth Provision Co.'s largest store to date, located in Southlake. CultureMap, Dallas' latest lifestyle news platform, wrote up a great feature singing the retailer's praises. Happy 10th anniversary Sleep Experts! Congratulations to MY2 client Sleep Experts on their 10-year anniversary! They have grown to 53 stores across Texas and have served more than 300,000 customers. But more important -- and the reason I love working with them -- is that also means 10 years of Sharing the Gift of Sleep. Since 2003, Sleep Experts has donated more than 12,000 mattresses and 15,000 blankets to more than 40 shelters in DFW and Austin. Congratulations to Sleep Experts for their latest honor, a North Star Award, given to them by Entrepreneurs for North Texas (EFNT) at the nonprofit's 12th annual Spirit of Entrepreneurship event. MY2 proudly nominated our client for this recognition which goes to companies in the EFNT community who have demonstrated a powerful commitment to making a meaningful contribution to the Dallas community. A highlight of the evening was the induction of real estate icon Ebby Halliday Acres into the EFNT Ring of Entrepreneurs. 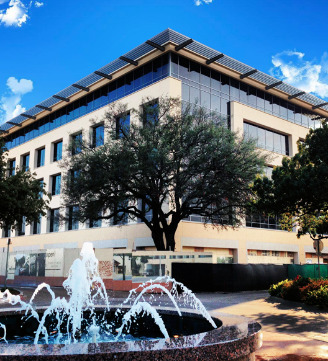 The Dallas Morning News reported on the string of new leases at The Plaza at Preston Center, including LUBLU Kira Plastinina from Russian fashion designer and SMU student; Calypso St. Barth; Sprinkles Ice Cream and True Food Kitchen. MY2 announced the leases on behalf of The Plaza's broker Venture Commercial Real Estate. Austin Business Journal reported on Sleep Experts’ donation of 240 Tempur-Pedic® mattress sets and mattress protectors to SafePlace, an Austin agency whose mission is to end sexual and domestic violence. MY2 worked with Golden and Co. in Austin to plan this event that helped to kick off Sleep Experts' entry in the Austin market.